Draft: 2010, Philadelphia Phillies, 3rd rd. Is married to Brittany Pittman...the couple has two daughters: Blakely Rhys and Peri Grey...Was a three-year letterwinner as a catcher at Prestonwood Christian Academy in Plano, TX...his team reached the state title game as a senior after he hit .644 during the season...Also earned all-state honors in football during his junior and senior seasons...his football team won the state title as a junior and the district title during his senior year...Was selected in the 43rd round of the 2007 First-Year Player draft by Pittsburgh but did not sign...attended the University of Texas...His father, Kevin, pitched for three years in the Montreal Expos' minor league system (1977-79). Was released by Philadelphia on March 26...signed a minor league contract with Texas on April 3...Appeared in 32 games for triple-A Round Rock and batted .274 with eight home runs, 26 RBI and an .886 OPS...Was released by Texas on June 1...signed a minor league contract with Minnesota on June 4 and appeared in 21 games for triple-A Rochester of the International League before being released by the Twins on July 11...Signed a minor league contract with Seattle on July 17 and was assigned to triple-A Tacoma... batted .218 with four home runs, 12 RBI and a .719 OPS in 33 games with the Rainers...Combined to hit .223 with 11 doubles, 15 home runs, 44 RBI and a .745 OPS. Made 83 starts, all at catcher... 31 of his 64 hits (48.4%) went for extra bases (17 2B and 14 HR)... Had his 1st career multi-HR game, 7/26 vs HOU; the first multi-HR game by a Phillies catcher since 2006 (Mike Lieberthal, 9/17 at HOU)... Tied his career high with 3 walks, 5/25 vs COL... Hit .367 (22-60), 7 2B, 4 HR, 1.140 OPS in 18 games against NL West teams... Threw out 23.7% (14-59) of potential base stealers. March 9, 2019 San Francisco Giants traded C Cameron Rupp to Detroit Tigers for cash. 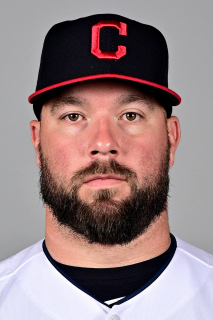 March 9, 2019 C Cameron Rupp assigned to Toledo Mud Hens. January 24, 2019 San Francisco Giants signed free agent C Cameron Rupp to a minor league contract and invited him to spring training. January 24, 2019 C Cameron Rupp assigned to Sacramento River Cats. November 2, 2018 C Cameron Rupp elected free agency. July 16, 2018 Seattle Mariners signed free agent C Cameron Rupp to a minor league contract. July 16, 2018 C Cameron Rupp assigned to Tacoma Rainiers. July 11, 2018 Rochester Red Wings released C Cameron Rupp. June 5, 2018 Minnesota Twins signed free agent C Cameron Rupp to a minor league contract. June 5, 2018 C Cameron Rupp assigned to Rochester Red Wings. June 2, 2018 Round Rock Express released C Cameron Rupp. April 3, 2018 Texas Rangers signed free agent C Cameron Rupp to a minor league contract. April 3, 2018 C Cameron Rupp assigned to Round Rock Express. March 26, 2018 Philadelphia Phillies released C Cameron Rupp. March 25, 2018 Philadelphia Phillies designated C Cameron Rupp for assignment. September 2, 2014 Philadelphia Phillies recalled C Cameron Rupp from Lehigh Valley IronPigs. July 23, 2014 Philadelphia Phillies optioned C Cameron Rupp to Lehigh Valley IronPigs. June 19, 2014 Philadelphia Phillies recalled Cameron Rupp from Lehigh Valley IronPigs. May 15, 2014 Lehigh Valley IronPigs activated C Cameron Rupp from the 7-day disabled list. March 25, 2014 Philadelphia Phillies optioned C Cameron Rupp to Lehigh Valley IronPigs. September 3, 2013 Philadelphia Phillies selected the contract of Cameron Rupp from Lehigh Valley IronPigs. June 10, 2013 Cameron Rupp assigned to Lehigh Valley IronPigs from Reading Fightin Phils. March 30, 2013 Cameron Rupp assigned to Reading Fightin Phils from Clearwater Threshers. March 5, 2013 C Cameron Rupp assigned to Philadelphia Phillies. April 4, 2012 Cameron Rupp assigned to Clearwater Threshers from Lakewood BlueClaws. April 2, 2011 Cameron Rupp assigned to Lakewood BlueClaws from Williamsport Crosscutters. June 25, 2010 Cameron Rupp assigned to Williamsport Crosscutters from Philadelphia Phillies. June 24, 2010 Philadelphia Phillies signed C Cameron Rupp.